The only remotely possible reason for noticing this sushi restaurant is that you have entered or exited the Lougheed Skytrain Station from the bus loop side during the day or evening. Even then, you would have to step inside this “corner store” to even notice that in the back corner is a sushi bar with a few seats. Most of the sushi is pre-made and sold up front in a refrigerated display, however if the sushi chef is on duty, you can take a seat at the bar and he’ll gladly made anything from the menu for you. We ordered the Nigiri Combo which came with 2 salmon, 2 tuna, 1 ebi, and 1 inari. The fish was good and much better than we were expecting from a quick takeout joint. For vegetarian sushi, we ordered the Avocado Roll and the Green Veggie Roll, which consisted of cucumber, avocado, and lettuce. The avocado roll was fairly standard and the green veggie roll was not too special, however it was nice to have some additional options like this on the menu. We also ordered a Smoked Salmon Roll and Dynamite Roll. The smoked salmon roll came with avocado inside and one notable difference is it did not contain cream cheese like most places. Generally, other restaurants add too much cream cheese so this was a nice surprise. 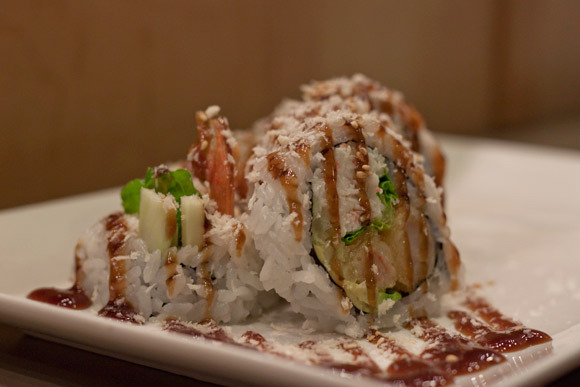 The dynamite roll was covered in sauce and the tempura was nice and crispy, which made for a delicious roll. There was also imitation crab inside the roll, which was a nice bonus but not necessary. While this is not a place to take a date, it’s ok for those who are on the go in the area and are by themselves. The seating really is limited to 4 seats at the bar and you will have to get used to people buying bags of chips behind you as you eat. 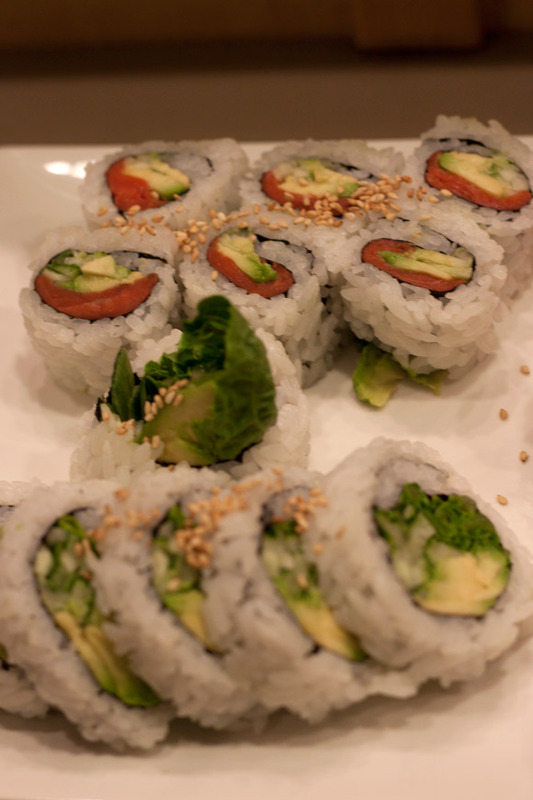 If this is not for you, you can grab one of their pre-made sushi packages in the cooler in the front or place an order for pickup on your way home. 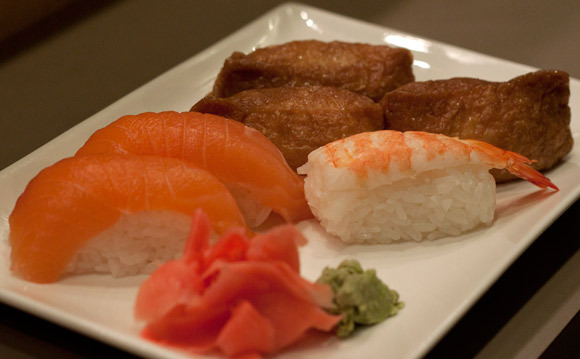 Overall, the experience at Town Centre Sushi was a pleasant one for the type of venue it is. While I probably would not eat-in at this place again, I would definitely grab some of their to-go sushi when passing through the Lougheed Skytrain Station.